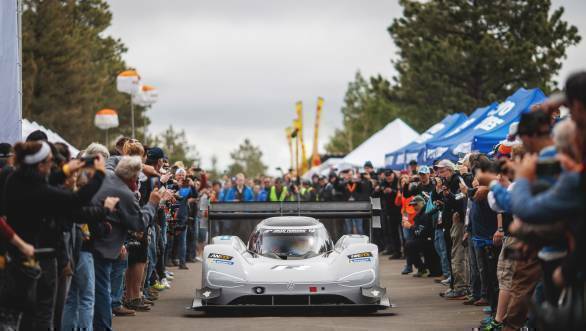 After decimating the record at the Pikes Peak International Hill Climb not too long ago, Volkswagen has set its sight on yet another record. The German manufacturer is now aiming to break the lap record for an electric car at the 2018 Goodwood Festival Of Speed. The overall lap record at Goodwood, however, was set by Nick Heidfeld back in 1999. Heidfeld drove a McLaren Mercedes MP4/13 F1 car around Goodwood clocking a time of 41.6 sec. Now, given the performance of the I.D R at Pikes Peak, where it managed a record time of 7:57.148 minutes, it really wouldn't be surprising to see the overall lap record at Goodwood shattered. The man for the job? 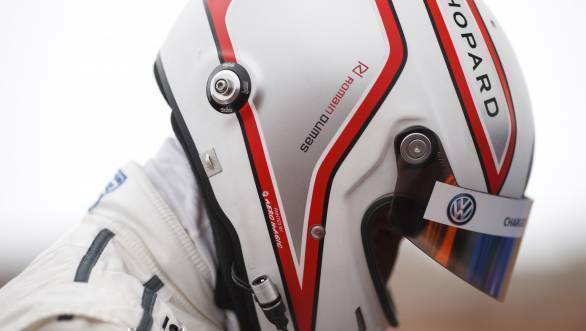 Once more VW will have Romain Dumas behind the wheel. Dumas, who has plenty of experience not only at Pikes Peak, but also in endurance racing, having won at Le Mans in the past. And he certainly seems about the task. "I am really looking forward to getting back behind the wheel of the I.D R Pikes Peak," he said. He continued to explain that the event at Goodwood was steeped in tradition, with some of the best drivers in some legendary machines adding to the great atmosphere. Meanwhile, Sven Smeets, Volkswagen Motorsport Director, stated that with Pikes Peak now firmly behind them, they were keen on Showing European fans what the I.DR was capable of. "Our brand has dedicated itself to electro mobility, and we mean to show everyone how emotional this topic can be, before the first Volkswagen range with fully electric drive is launched in 2020," he said. The 2018 Goodwood Festival of Speed will be held between the 12th and 15th of July, 2018.